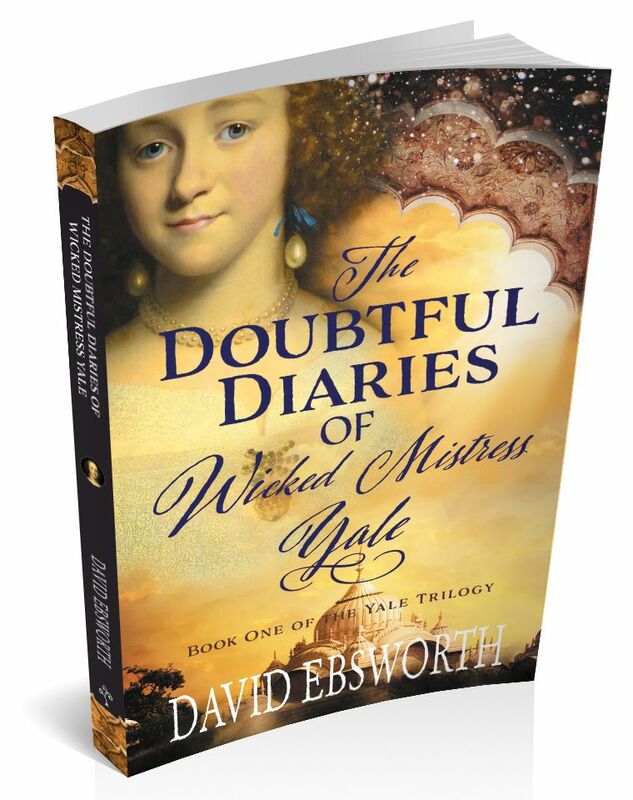 The first book in a new trilogy by David Ebsworth about the life and times of Catherine Yale, wife of nabob philanthropist and slave trader, Elihu Yale. 1721, and elderly Catherine Yale discovers that second husband Elihu’s will has left her no bequest except the slur of branding her a "wicked wife.” True, her private journals are filled with intimacies: her inner thoughts about life in Old Madras, where the East India Company’s intrigues are as complex as any in the Mughal Emperor’s court; and the espionage she has undertaken, despite the danger into which it has thrust both herself and her children. Perhaps it’s time for her to read them afresh, to go back before the days when Elihu first betrayed her, before she was betrayed by her enemies, and betrayed by the friends who should have stood at her side – before she determined to wreak her revenge on them all. The Doubtful Diaries of Wicked Mistress Yale is now available on a wide range of e-readers, including Kindle, Kobo, Nook and iBooks. Following his retirement, Dave began to write historical fiction in 2009 and has subsequently published six novels: political thrillers dealing with the 1745 Jacobite rebellion, the 1879 Anglo-Zulu War, the Battle of Waterloo, warlord rivalry in sixth century Britain, and the Spanish Civil War. His sixth book, Until the Curtain Falls, returns to that same Spanish conflict, following the story of journalist Jack Telford, and is published in Spanish under the title Hasta Que Caiga el Telón. Jack Telford, as it happens, is also the main protagonist in a separate novella, The Lisbon Labyrinth. This seventh novel, The Doubtful Diaries of Wicked Mistress Yale, is the first in a trilogy about the life of nabob philanthropist (and slave-trader) Elihu Yale, told through the eyes of his much-maligned and largely forgotten wife, Catherine. For more information on the author and his work, visit his website at www.davidebsworth.com. Read the Advance Information sheet for The Doubtful Diaries of Wicked Mistress Yale here.